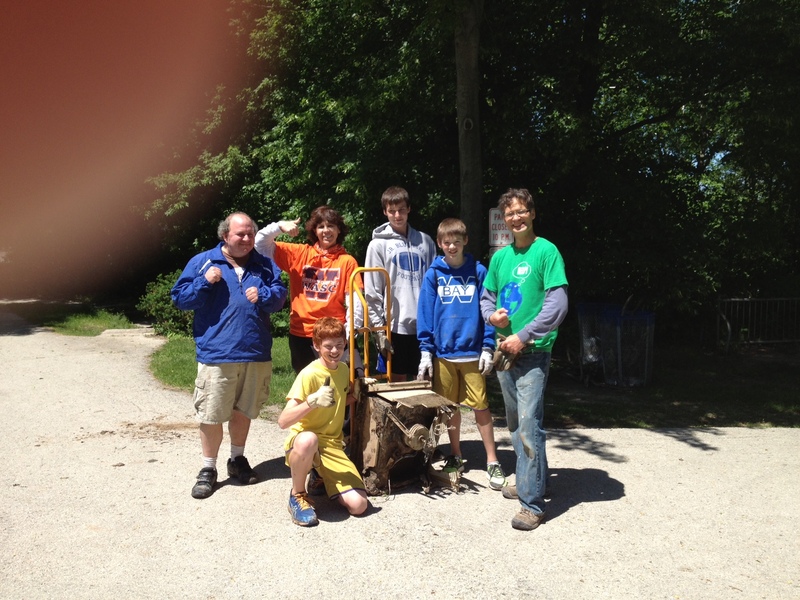 When the Whitefish Bay Middle School Green Team stumbled upon a broken air conditioning unit at their local beach cleanup, they kept their cool. And, they did what they do best. They worked together to remove the hazard from the beach. It took three middle schoolers and two teachers to unearth the A/C unit from the bluff where it was lodged. Members of the Whitefish Bay Middle School Green Team pose with an air conditioning unit they removed from the beach during their cleanup. The students’ efforts were part of Green Day in the Bay, a village cleanup followed by an eco-fair featuring environmental exhibitors in Whitefish Bay, Wisconsin. Whitefish Bay has plentiful parks, green spaces, and stunning water views given its well-known lakefront setting. Green Day in the Bay offers residents who enjoy these privileges the opportunity to give back. The team’s Adopt-a-Beach cleanup is open for anyone to attend and draws many students and parents from the middle school. To keep this positive reinforcement going, the Green Team extended their influence a step further and contacted the village. They inquired whether trash and recycling receptacles could be placed on the beach at this site, and not just on top of the bluff. The middle schoolers rely on aluminum can recycling to raise funds for some of their efforts, including a lunchroom recycling and compost program. The fundraising supports vegetable and fruit compost pickup each week. Also, the group tends the school’s wildflower garden and planters, and picks up any trash around school grounds. 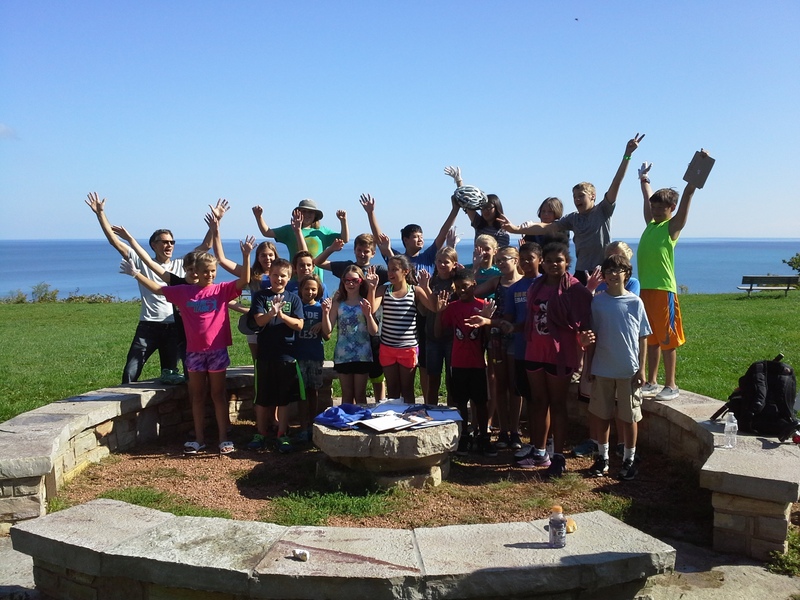 Whitefish Bay Middle School Green Team celebrating a successful beach cleanup! The Green Team’s goal next year is “to launch a campaign to reduce lunchroom waste,” according to Treul. To accomplish this, the team plans to encourage and potentially sell reusable lunch totes, in the hopes that eliminating the disposable brown bag will reduce the output of food thrown away. Let's hit the beach! 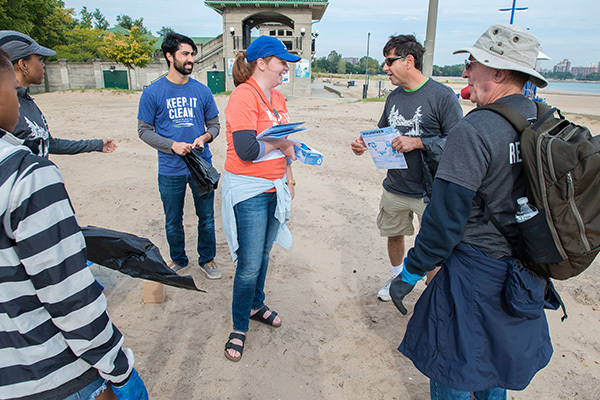 Adopt-a-Beach is a fun and rewarding volunteer experience. Find a cleanup near you.